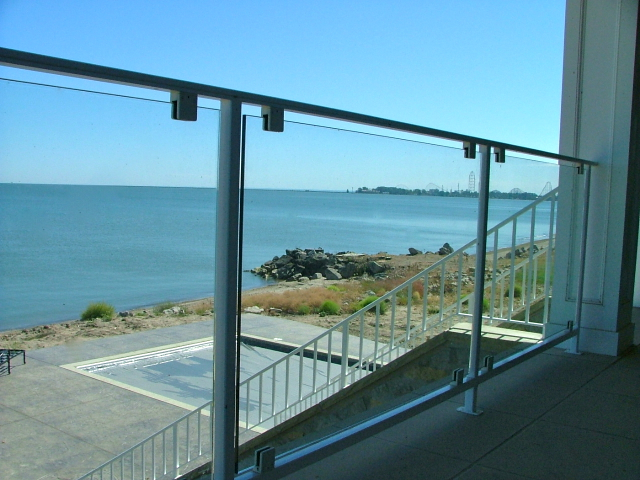 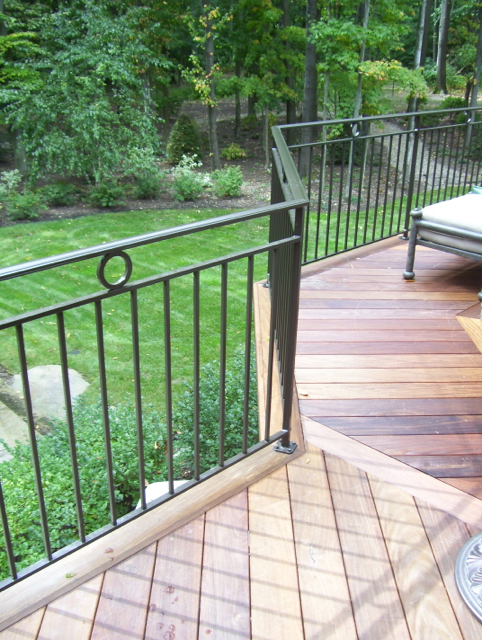 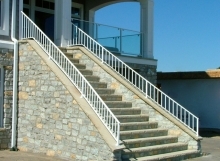 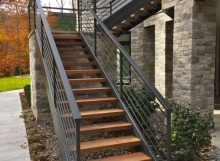 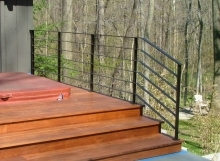 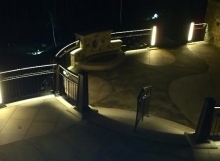 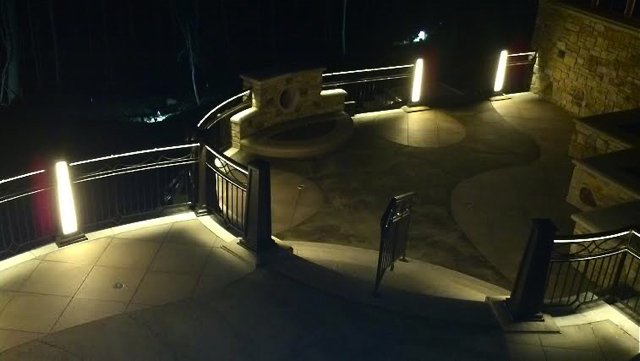 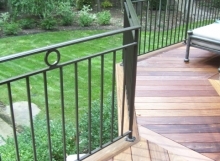 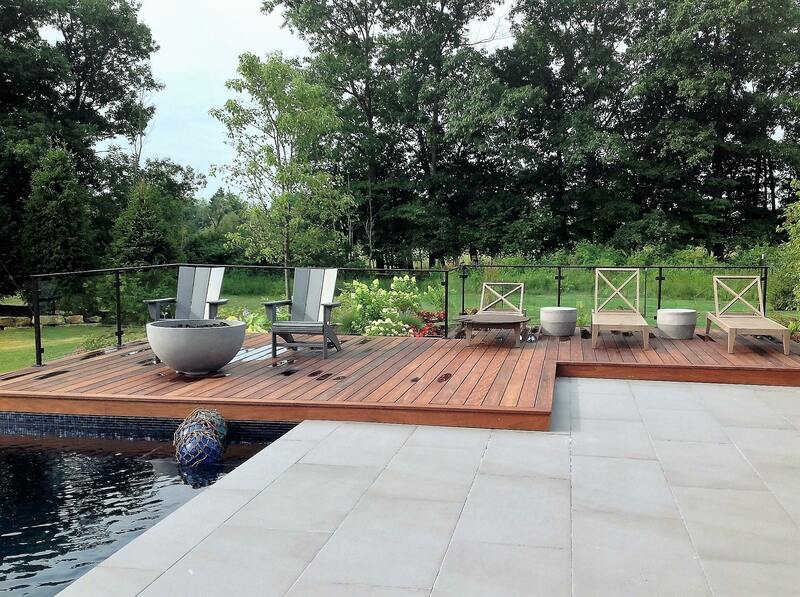 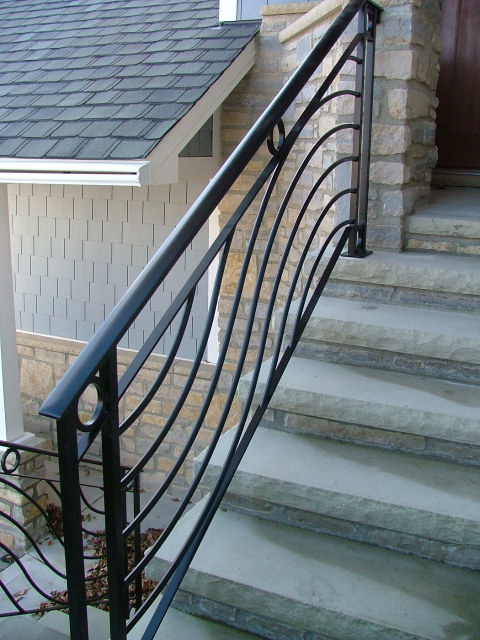 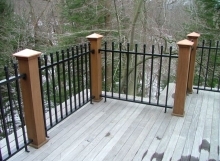 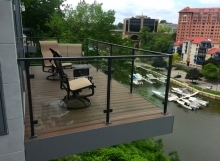 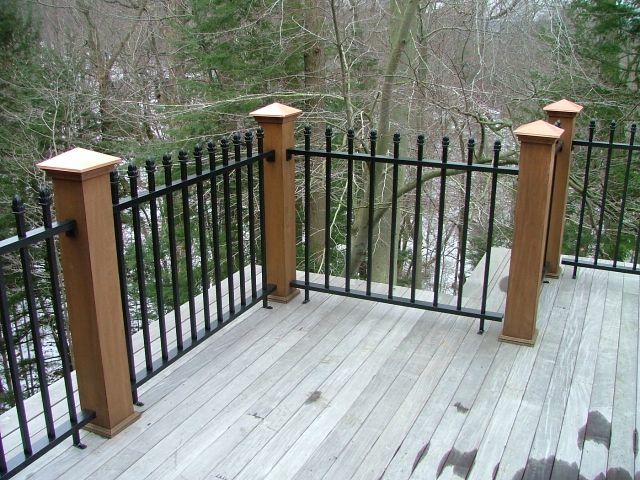 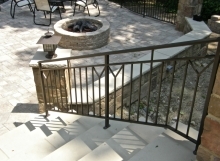 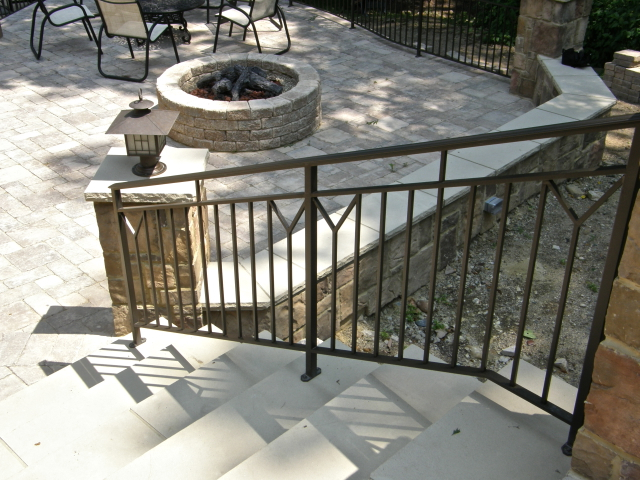 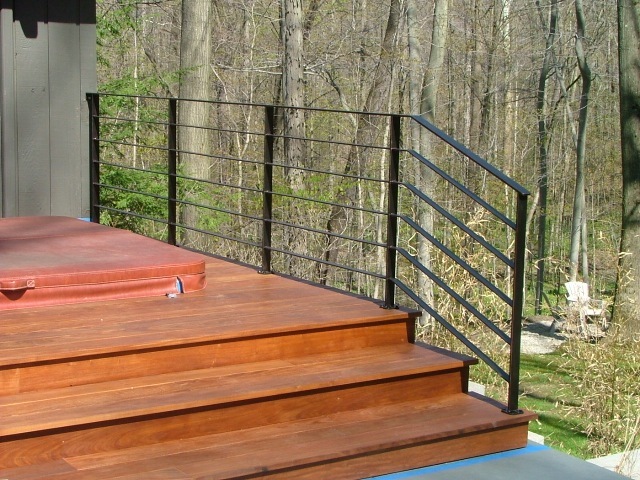 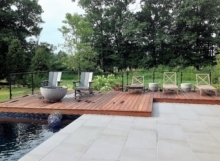 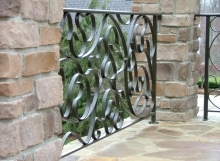 Exterior contemporary iron provides an updates, sleek, and minimalist design. 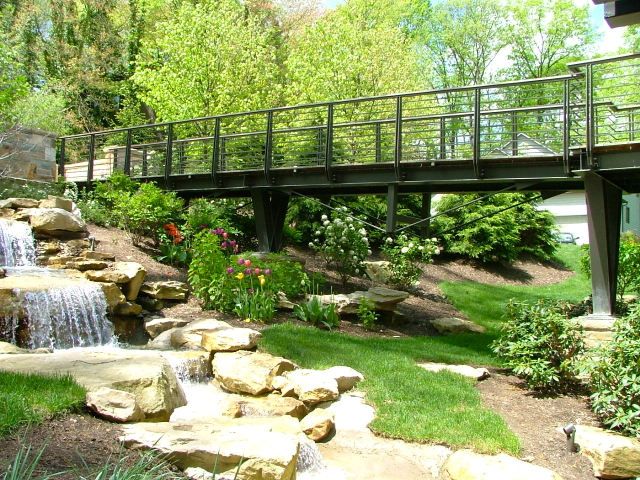 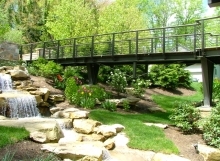 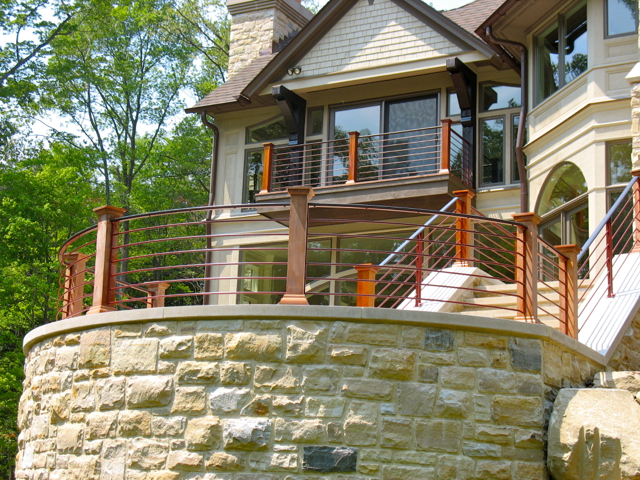 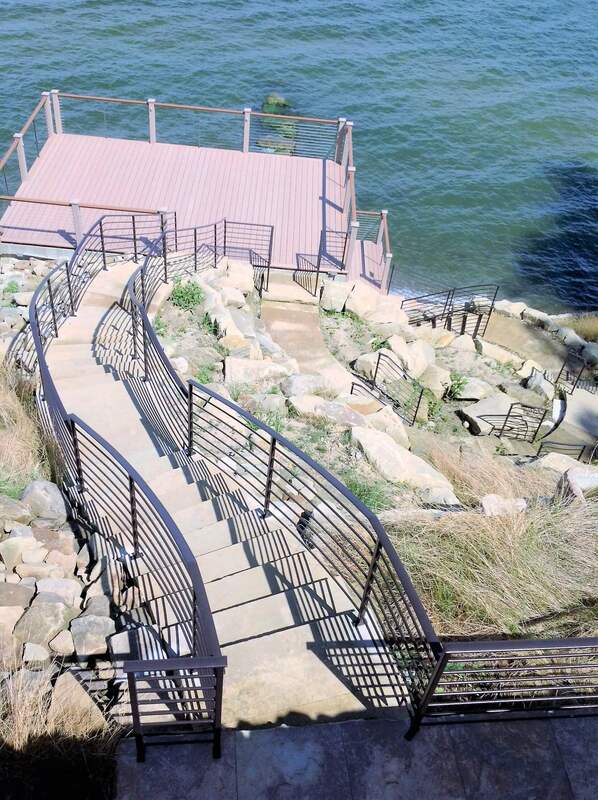 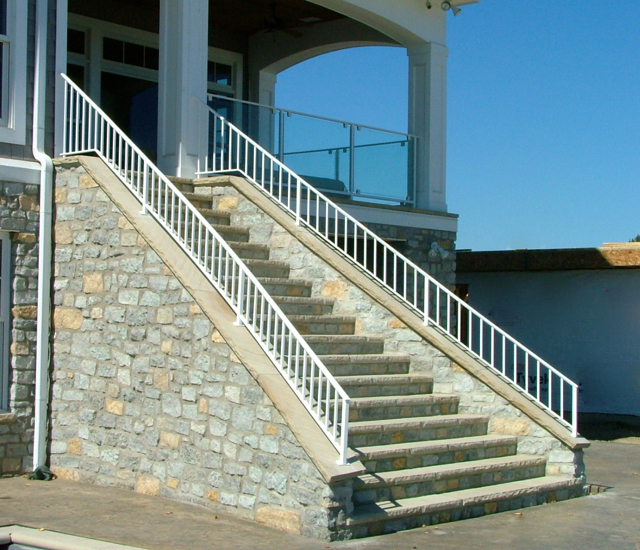 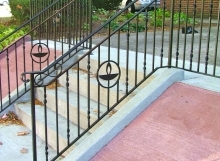 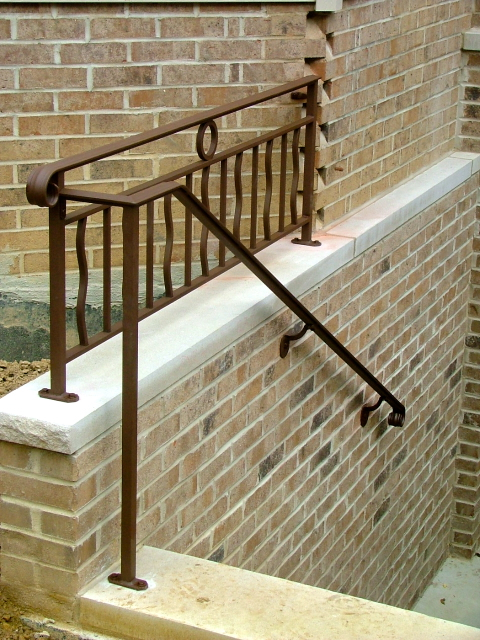 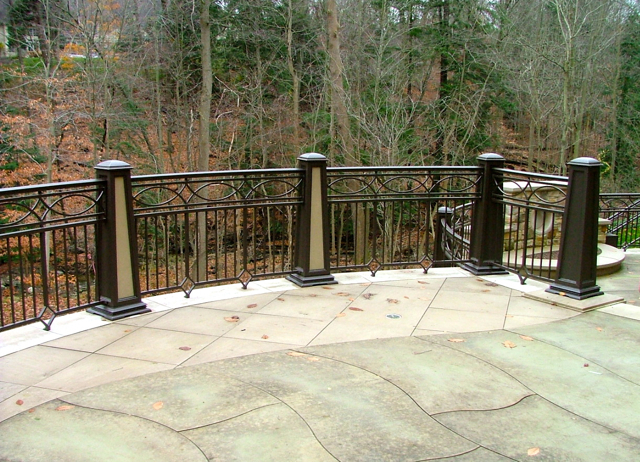 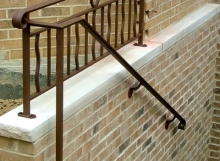 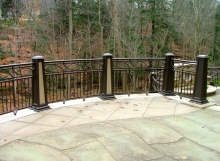 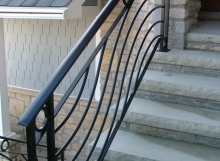 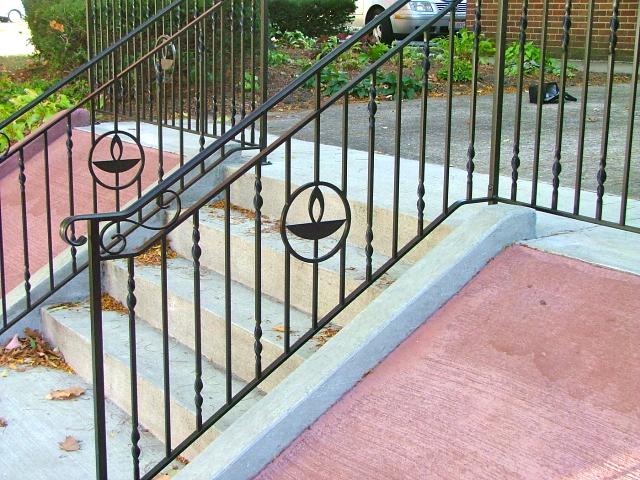 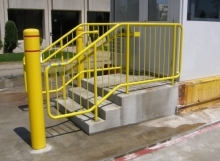 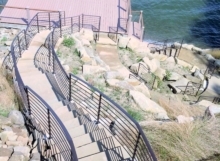 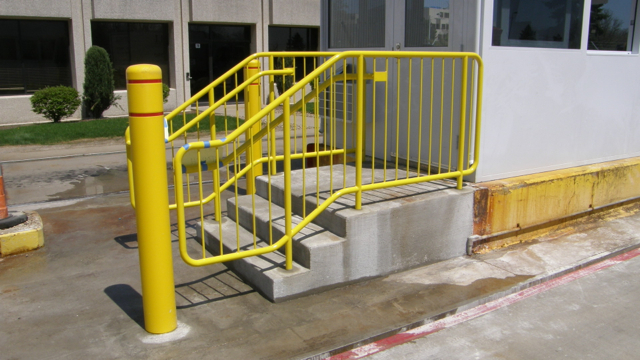 Contemporary ironwork is characterized by smooth surfaces without much carving or adornment. 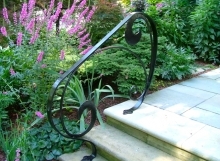 It contains no accessories that traditional ironwork would include, such as finials, scrolls, leaves, curls, and is usually non-textured. 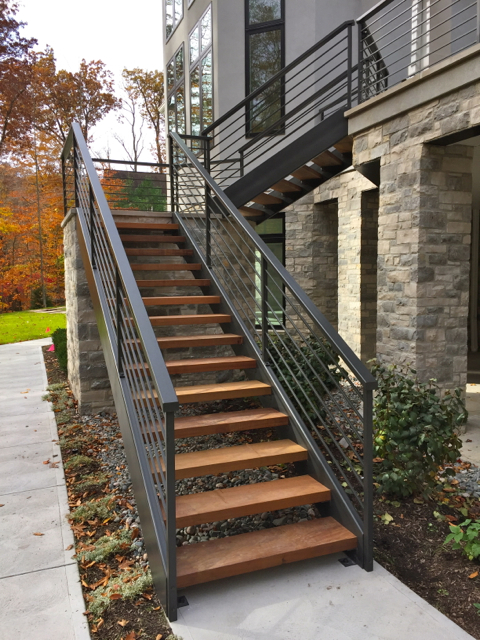 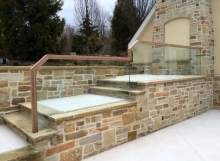 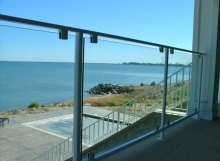 Modern elements such as stainless steel, frosted or clear glass and woods with minimal grains such as maple or birch are common in contemporary exterior spaces.